During Dad’s final 5 months, I was unofficially designated the family social media updater. This page is a single, chronological repository of all those updates. It was quite the physical and emotional roller-coaster. Dad defied expectations left and right. 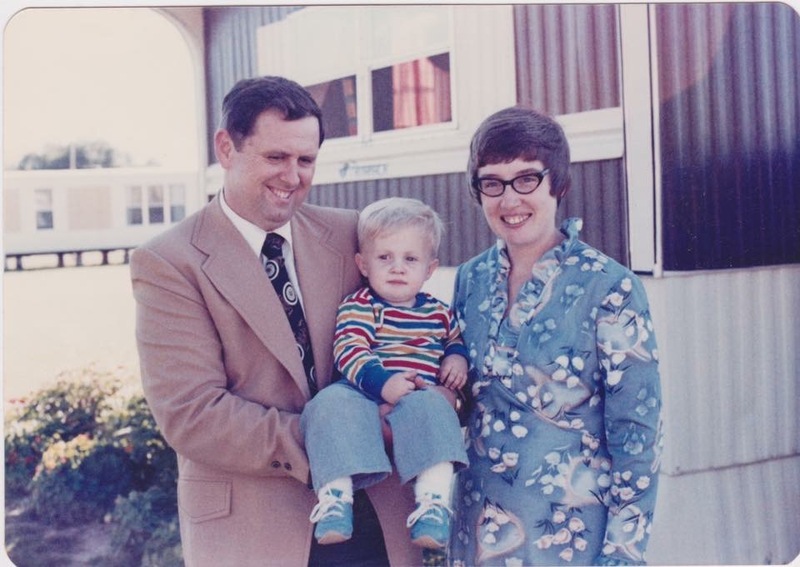 He charted his own course throughout the entire process and left medical professionals, caregivers, and his family scratching their heads repeatedly. In many ways, it was the hardest 5 months ever. And in other ways, they were some of the most special and memorable months of my life as well. They did the heart cath to check out his heart. They were hoping a stint or two would do the trick. But they pretty quickly discovered that there was too much calcification for a stint to work. It’s sounding like he’ll be transported via helicopter to Spokane. It’s looking like some kind of open heart surgery is up next. Eric, Julie, Laurie, Robb, and I will be heading up there soon with Mom. Jamee’s on her way to Walla Walla. Just passed Baker City, OR. She had been planning a trip up here to visit anyway. Jeffrey and Matt will be flying up to Spokane soon. I’m sure everything will be fine. We’re not all getting together because we’re worried he won’t make it. We all just love our Dad and simply want to be near him when he goes through tough stuff like this. We ❤️ love you bunches Pops. 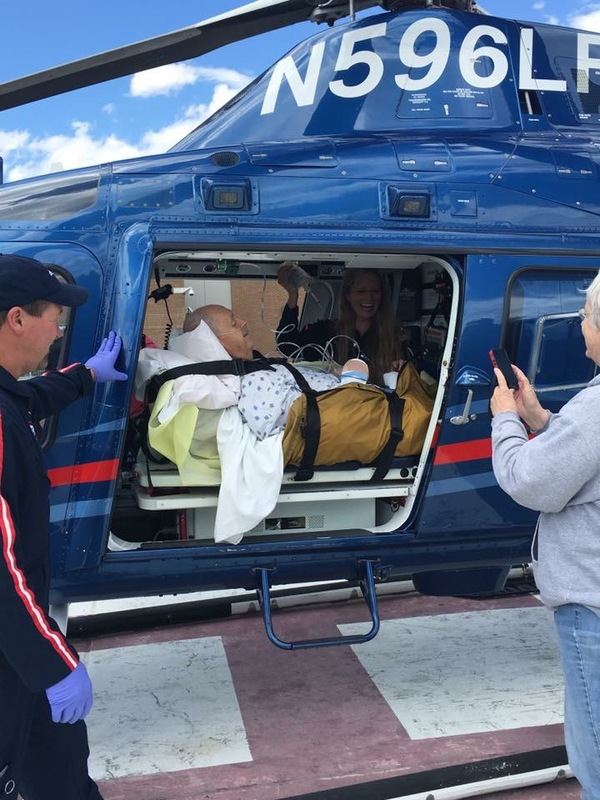 Well…they told us it was serious and they lifeflighted him to Spokane. So, we all converged on Spokane. Matt and Jeff just landed. 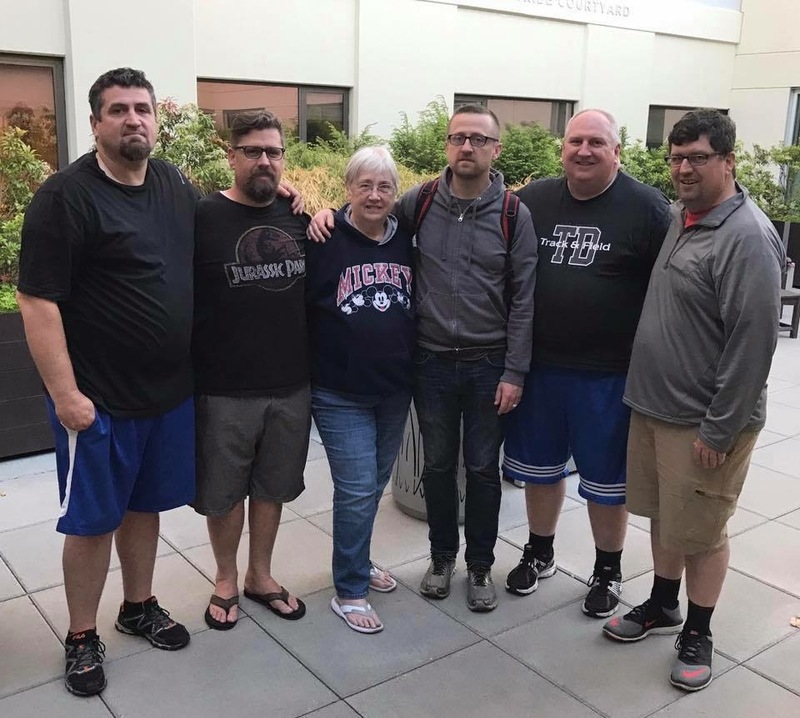 All 8 siblings are now in Spokane. But…now it’s looking like he won’t have surgery till Monday. So…we’ll just wait and see. No real new news yet. But Dad did LOVE his helicopter ride. Not much news. 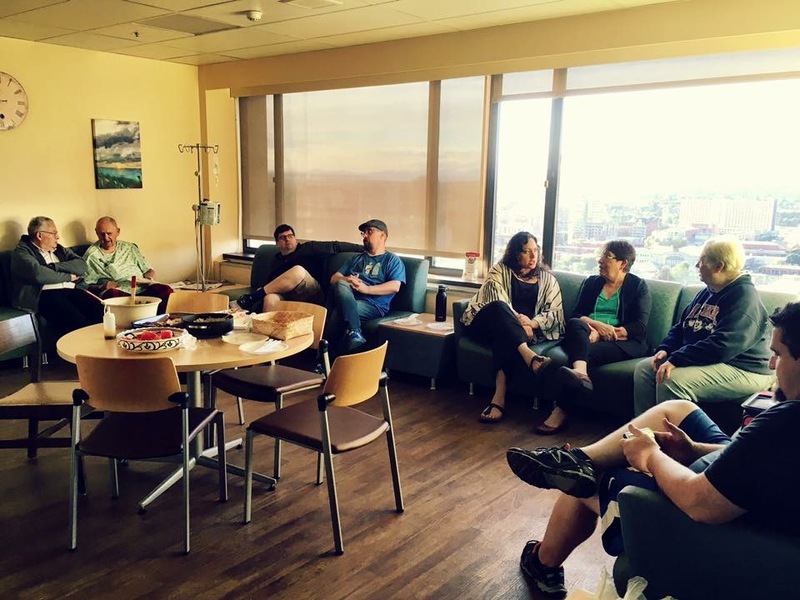 But….good family friends (Zavalas) brought us a yummy home cooked meal we’re enjoying in the visitor’s lounge at the hospital. Great to see Juan, Martha, and Colomba! Eric went back for Zachary’s graduation from WWCC (congrats Zach! ), Jamee and Laurie headed back to Walla Walla to be with their kiddos. The rest of us are still hanging around Spokane till Monday. We’ve met with the cardiologists and the surgeons and they all agree that Dad’s stable enough for being able to wait through the weekend. They won’t know for sure until they begin the surgery, but it’s sounding like they’ll be doing a triple bypass surgery. They’re taking Dad down to prep for surgery now. The prep will take a few hours. And then the surgery will take another few hours. They’re estimating a triple bypass but won’t know for sure until they can see everything. While in surgery, they’ll remove the remedial left atrial appendage off the heart. Supposedly for people who are at risk of stroke (Dad already had one several years ago), it’s a very common place where clots can form that can then cause a stroke. So this is a simple, quick procedure they can do while they’re in there. This appendage doesn’t serve any kind of physiological purpose. It’s kind of like the appendix—an appendage off the digestive system doesn’t serve much of a purpose there either, but can cause complications. After surgery Dad will remain sedated for a few hours to allow his body to rest and recover. He’ll start coming off sedation and have his breathing tube removed this evening (if everything is going smoothly). Then tomorrow (Tuesday morning) they’ll begin the process of getting all the other tubes and lines out and helping make sure his body is functioning and processing all on his own. Then at some point tomorrow, once he’s all disconnected and functioning on his own, he’ll be moved back upstairs to continue the recovery process. Even if everything goes well, he’ll likely be here for 5 days or so before heading home. So today we wait, pray, think about how much we love our Dad, and then wait and pray some more. Mom just got a call from the operating room. After almost 5 hours of surgery they’re pretty much done. Everything went really well. They’re just closing him up now. It’ll be about an hour and then the surgeon will come by to give us the full story. Thanks to everyone for all your kind words and prayers. He’s not out of the woods yet. Still risks and lots of recovery to go. But he’s exactly where the surgeons hoped he would be at this point. We probably look a bit tired, but this was a relieved group earlier tonight. I just wanted to take a moment to update and thank all of you for your thoughts, prayers and support on behalf of my dad. 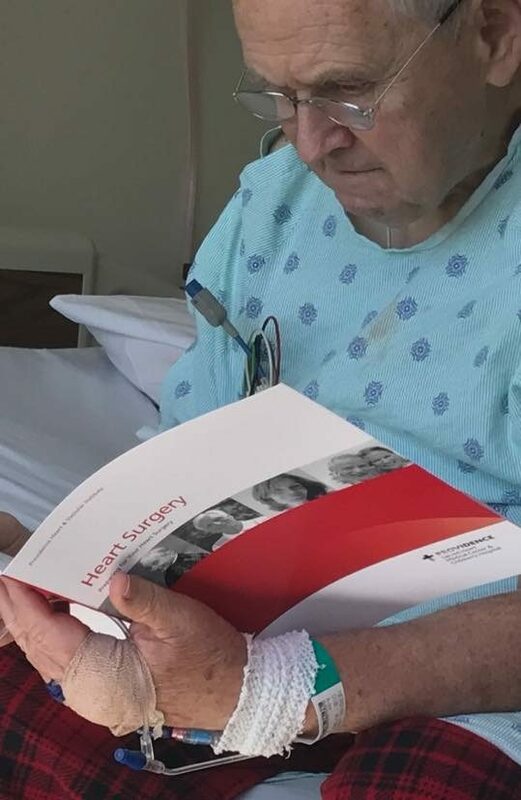 His triple bypass surgery went well, he’ll be recovering for a long time, but the outlook has changed a LOT since last week. They expect him to be doing much better than before within a few months…it’s a long road ahead, but for now, we’re feeling hopeful and happy. The girls (Julie, Laurie & Jamee) missed the picture, but it was “nice” spending time with my 7 siblings and mom & dad these past few days. Next time, let’s skip the medical emergency part and just get together for fun! Love you all! He’s breathing on his own and they’ve removed the balloon cath. Which means that after having a triple bypass surgery, his heart is beating on its own! He’s requiring minimal pain medication and all the doctors and nurses are saying he’s doing great. He’s napping and resting a lot with a lot of tubes and lines in him and still not really coherent or aware of what’s going on. But he’s doing good and progressing as well as the doctor’s could hope for. 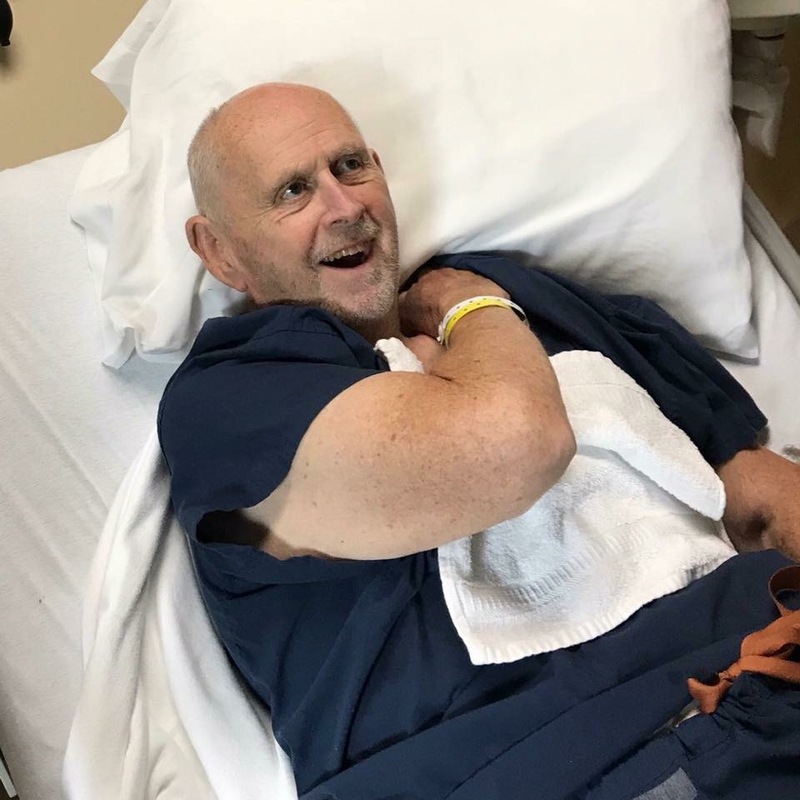 The hospital staff are amazing, but we also credit a great deal of his progress to the incredible number of prayers and immense faith on Dad’s behalf. Thank you SO much!! I’m back up in Spokane. I went back to Walla Walla to get a few things, see my family, and help with a work project. Dad’s sleeping. Heart-wise he’s doing great. All good news on that front. Which is the most important thing for sure. But they had to sedate Dad a bit more this evening. Each time he’d wake up he’d usually get pretty restless and confused. He’s still not making a lot of sense with what he’s saying and wants to try and get up or remove his oxygen or pull at tubes. They say when you have dementia, it can take longer to regain full awareness. They were hoping to avoid sedating him again since that would mean taking even longer to gain full awareness/consciousness. But it got to the point where it was more important for him to be able relax. Mom said the hardest thing to see was when he got hiccups. They’re annoying to most of us, but to someone who just had open-heart surgery, it can understandably be quite painful. Fortunately they didn’t last very long. I’ll be here with Mom till Thursday and then other siblings will be back up here after that to be with her and Dad. Mom and I are going to go say goodnight and then be back in the morning. They told us there’s no need to be here overnight since he’ll be pretty much out all night. Dad’s sitting in a chair! He’s still struggling a lot and rarely awake. He’s not enjoying the hospital at all and certainly making the nurses earn their wage. BUT his heart and body are recovery well—whether he knows it or not. They’ve been wanting to get him sitting up for awhile now to help with draining his chest and helping prevent pneumonia, but hadn’t been able to get him to do that. And although the primary reason he’s sitting in a chair next to his bed now is because he was trying to stubbornly climb out of bed because he didn’t want to be there anymore, he’s still sitting up in a chair! So it’s a win. They have pretty much all his drainage tubes out and they’re thinking they’ll be able to get all the rest except for an IV in his arm out today. The Physician’s Assistant to the surgical team just came in and said that it’s looking like he’ll be able to go back upstairs and leave the ICU today. His surgery continues to be considered a success. Heart’s doing really well. Unfortunately he’s still in the ICU. He’s having a very difficult time coming out of the anesthesia from surgery. Suffice it to say, he’s not a happy camper. He’s had a very difficult few days. We’re all hoping and praying he can clear the anesthesia and round the corner soon. He’s been moved out of ICU and up to the same floor he was on prior to surgery. Medically still doing well. Was up and took a few steps yesterday and today he’s finally started eating pretty good. Still very confused and agitated. Not much progress yet on that front, but we’re continually reassured that this can sometimes happen and still isn’t reason for alarm according to his surgeon. He’ll come around. Julie’s up there with Mom now and Eric will head up tomorrow. So much to be grateful for on this Father’s Day. I’ve always looked up to, appreciated, and loved my Dad. So many memories with him. Rafting, hiking, canoeing, turning a pasture into a walk-through flower garden and a way-too-big vegetable garden, bringing plates of cookies to and visiting families in need, helping me with my homework, reading scriptures, attending church meetings, and on and on. Praying he’ll recover from his surgery soon and return to his old self. Tomorrow will be a week since his open heart surgery. I was also incredibly blessed to have a 2nd father in Ritchie Hibbert. Another giant of a man. So incredibly full of love, wisdom, and kindness. I miss him and am praying for my wife Carley and her family today. It was just his birthday and now Father’s Day. How blessed I’ve been to have these two incredible fathers in my life! Today was, in many ways, the day we’ve been waiting for. After almost a week, Dad finally seems to be coming out of the post surgery delirium. This whole time he simply hasn’t been himself. Hadn’t been able to speak, sit up, eat, or really do much of anything at all. He still has a long road of recovery ahead and still pretty confused and tired, but this is still very encouraging. Most of the family decided to do a family fast for him today. No doubt in my mind that this major leap forward in his recovery was a result of that faith-filled effort. Such a blessing. It’s been 8 days now since Dad’s been out of surgery. Turns out Sunday was the high point of his recovery from surgery. It’s certainly not a linear thing. There’s going to be lots of ups and downs. The last two days (Monday & Tuesday) have been quite difficult again. He’s still in the hospital in Spokane and has reverted back to pretty significant post-surgery delirium. He didn’t come all the way out of it on Sunday, but he was showing signs of progress. And while he’s still able to do a few things slightly better than last week, for the most part he’s still essentially unable to function, communicate, or do anything on his own at all. 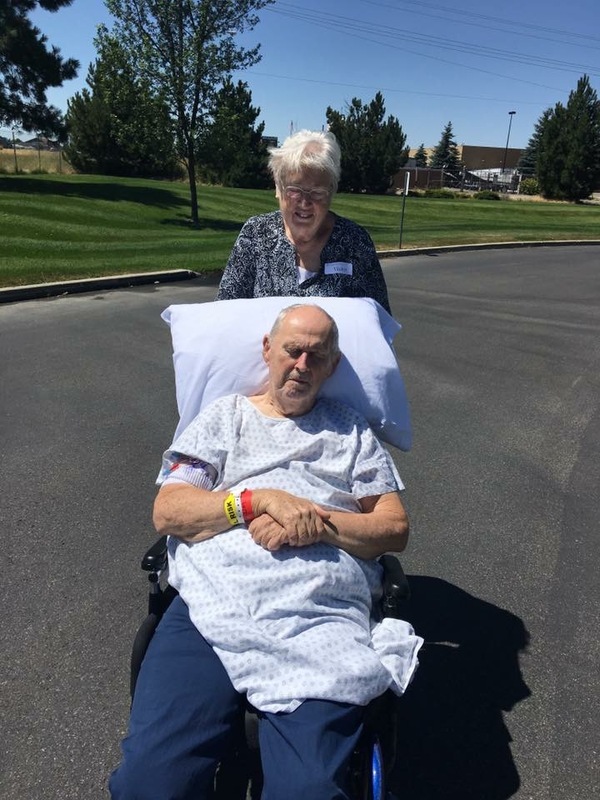 Even if he was to come back to Walla Walla and continue his rehabilitation in a facility here, he’s going to have to get his a-fib under control and gain at least some ability to eat, sleep, and communicate before they’ll let him leave the hospital up there. Mom is staying with friends close by and we’re all extremely grateful for their hospitality. We’re also grateful for so many of your prayers and kind words. Dad could still use all the faith you’re able to muster on his behalf. Thank you all so much. Yesterday things were looking up. He got an MRI, was moved up to the 8th floor (off the cardiac floor since his heart is doing so well), and seemed to be resting much better. But turns out some of his “restfulness” may have been due to breathing difficulties that he has developed recently. 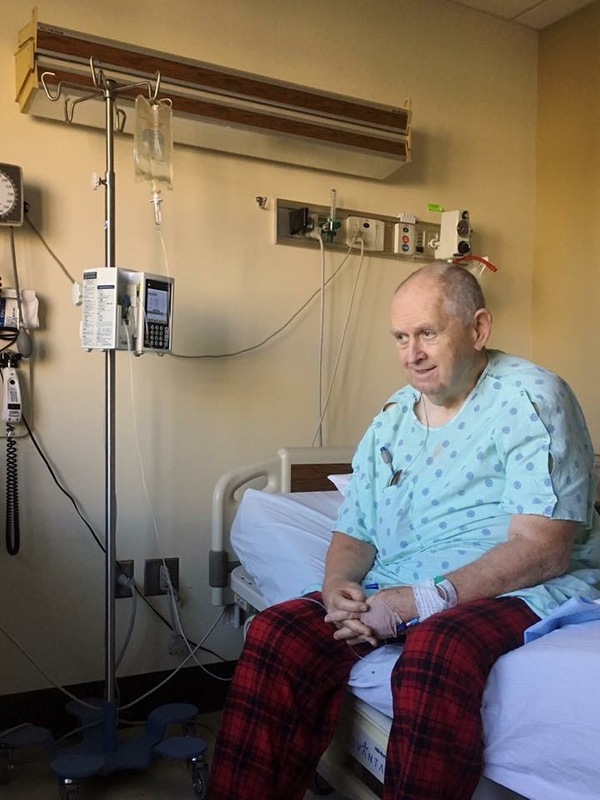 He’s been moved back to the ICU and they’re now primarily focused on getting him breathing well and taking measures to prevent increasing risks of pneumonia. Julie was able to be up there with Mom last week, I made a quick trip up on Sunday to bring Mom some supplies and visited with her and Dad for a few hours, Eric is up there now, Robb will fly up when Eric needs to leave, and then Matt might fly up after that for awhile. Fortunately, like Eric said to us, these new complications appear to be well understood and treatable. It’s an unfortunate bump on this road to recovery, but not something we (doctors included) feel is a detour. Mom has a very comfortable place to stay with good friends and is doing as well as can be expected. As always, thanks to everyone for your ongoing faith, prayers, and kind words during this difficult time. It’s felt, it matters, and it is genuinely appreciated. He’s been back in the ICU for a few days. Blood pressure dropped really low last night. (They performed CPR) He’s stabilized now. X-ray and CT results didn’t reveal anything alarming. Waiting for him to get another MRI. I’m here with Mom for the day. Matt, Karen, and Jeff are driving up now and will be here for most of the week with Mom in Spokane. Julie, Shay, and Kendsey are planning a visit tomorrow as well. Heading home to Walla Walla from Spokane. Not a lot of great news regarding Dad, but still lots of hope and faith. He has improved some since his CPR episode early Sunday morning but still in the CICU and in a precarious situation. 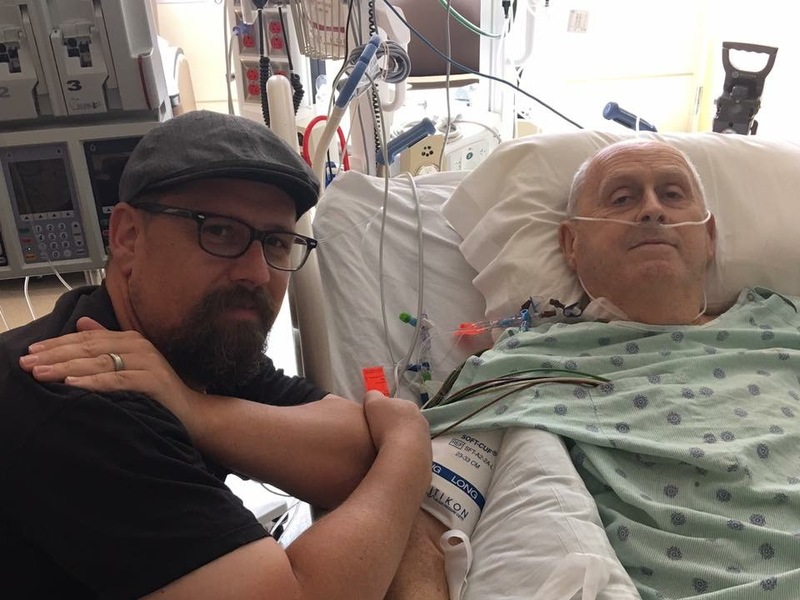 His heart continues to do well, he’s breathing pretty good, but still not off the respirator, and still needing to break through this delirium. Tough stuff for sure. But sure is effective at highlighting what an amazing family I have and how many dear friends we have as well. Love you all. He’s off the breathing tube/respirator! This is huge. He was on it for 10 days. After getting off the respirator yesterday, he’d been on oxygen. He’s off that now today too. Other annoying tubes and monitors removed. He did way better than they were expecting with a swallow test today (crucial for being able to protect your airway and not aspirating fluid/food). He’s started eating some soft foods again. He seems increasingly calm and aware. But still a very long way to go to full recovery. Stable enough that they’ll be moving him out of the ICU today. Getting closer (a few days?) to transitioning to a different rehabilitation center. He still doesn’t feel that great and has a long road ahead of him, but he is in a MUCH better situation than he was a week ago. It was early Sunday morning of last week his blood pressure dropped so low they had to do CPR and we almost lost him. So to be where he’s at a week later is an incredible blessing! I realized I haven’t done an update on Dad for awhile. Lots of good progress. He has been transferred to NIACH in Post Falls, ID (close to Spokane). Here he gets much better physical therapy and is focused more heavily on rehabilitation. He eats in a dining room (and eating quite well) instead of his room, goes on “walks” often being pushed by family members in a wheelchair, is awake more and on a better sleep/awake cycle, and and the big one…he’s upgraded to wearing pants! 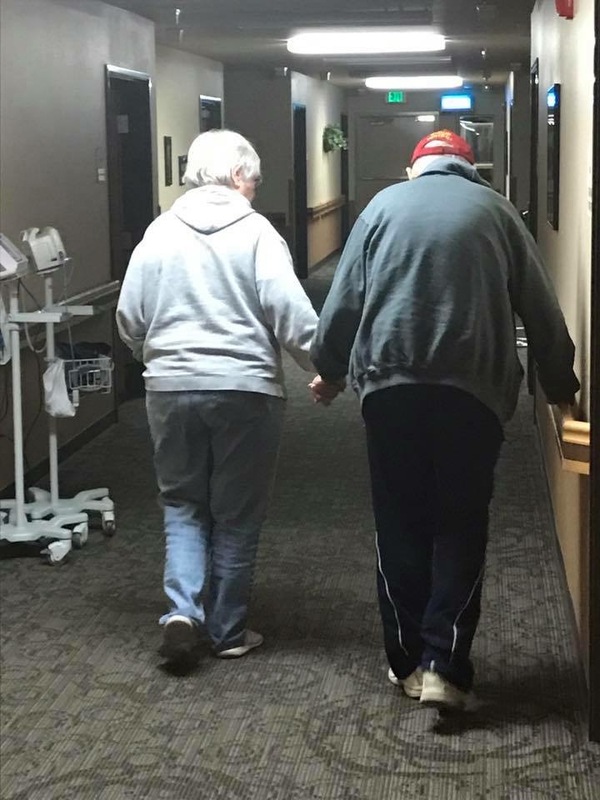 He’s making small steps forward in his alertness and neurological recovery as well and surprises nurses and family members somewhat regularly with the things he’ll say. That said, for the most part he still isn’t speaking much and isn’t to the point of really carrying on conversations. And while he’s getting a bit better at sitting up on his own, he still can’t really do most day-to-day physical activities on his own either. But we’re focusing on the progress and his trajectory as opposed to where he’s at. And his progress is noticeable and consistent. And for that we’re highly encouraged and deeply grateful. It’s likely he’ll be in Post Falls for at least another few weeks. And that’s if things continue progressing well. Even though his eyes are closed in this picture, he was actually quite awake and alert, he was just enjoying the outdoors. Photo was taken by my sister Julie as dad was being walked by his sweetheart Connie this morning. Good news, bad news regarding Dad. Good news is he has finally been able to return to Walla Walla. He’s now at Regency at the Park which is just a few blocks away from our parents’ house. This will be very convenient for Mom, visitors and the rest of us. We’re all very grateful to have him back home in Walla Walla. 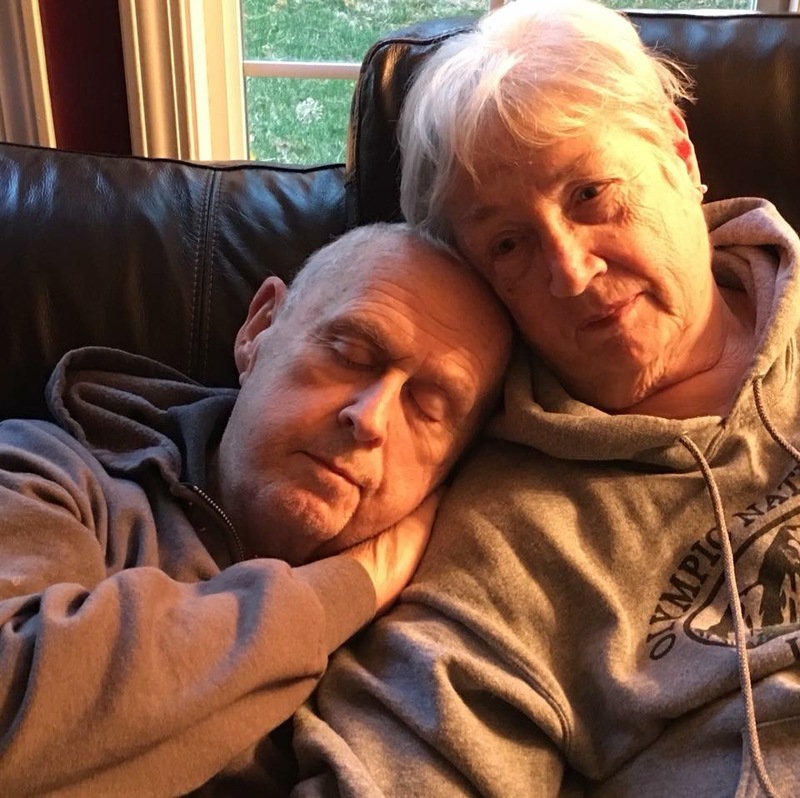 Bad news is that Dad has been diagnosed with a neurodegenerative disease called Creutzfeldt-Jakob Disease which tends to progress quickly and is always fatal. The disease has already taken hold pretty aggressively and has significantly impacted his neurological and physiological state. Current estimates are he has a few months to live. Thank you to so many of you for your kind words, actions, and expressions of love during these difficult times. It’s been an interesting 2.5 weeks with Dad back in Walla Walla. With his diagnosis, we were expecting to bring him to Walla Walla, try and help him be as comfortable as possible, and simply attempt to deal with the rapid deterioration that’s supposed to accompany the disease. But since arriving at Regency, not only has he graduated from a purely puréed diet of tasteless mush to better, chewier foods, but all food restrictions have been lifted. He’s now able to eat pretty much anything he wants. Chewy foods, like meat, sandwiches, pie, etc. Plus he used to have all his drinks thickened, but now he’s free to drink regular water, milk, juice, whatever. You should have seen him drink his first glass of regular, cold milk. My brother Robb said it was like being reunited with an old friend. 🙂 Also, when he first got here, he had to be spoon fed every puréed bite. Now the majority of the time he eats entirely on his own. He also seems to be progressing pretty consistently with his physical therapy. 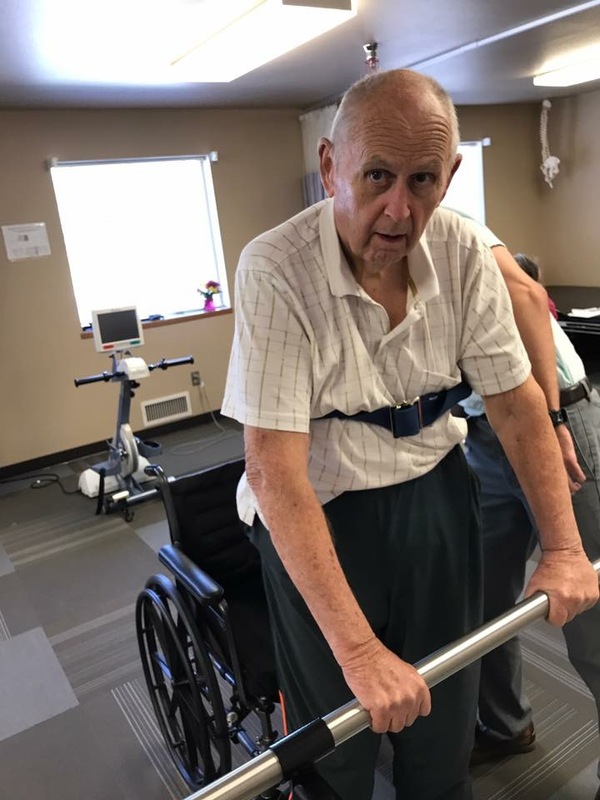 Sitting up on his own (not just leaning back in his chair) and then he’s also doing better on a stationary bike (assisted pedal device in the background of the photo he uses from his wheelchair), and even standing up (with assistance), and walking in place. We’ve even been able to transport him to family homes for backyard barbecues a couple times. He’s still confused a lot and doesn’t speak much, but seems to be doing a bit better in that regard as well. It’s just kind of a strange thing to navigate. We all expect him to get worse and worse, but instead he seems to be getting better and better. His diagnosis is so rarely wrong and with it only being a few weeks since getting the news, it still feels too early to jump to any conclusions. It’s a delicate balance of trying not to get our hopes up, while simultaneously being thoroughly grateful for the progress and positive signs. That said, if he continues improving, then they’ll try and get him back in to see a neurologist and possibly attempt testing for the disease again. In the meantime, we’ll just continue our approach of simply trying to ignore the diagnosis and love him and encourage him and be grateful for each and every moment we have with him. That wouldn’t change with any kind of diagnosis anyway. Dad’s had a pretty amazing couple days. Before I share some of the progress, I feel in order to paint a more fair and accurate picture it’s important to share some of the challenges. He still rarely speaks and quite often (sometimes for hours at a time) will just kind of zone out and not really look at you or respond or really do anything at all. It’s not uncommon for him to talk about random things that don’t really seem to make sense. I just don’t want people to misinterpret his progress as being more than it is. After past updates we’ve heard people say that it looked like Dad was probably pretty close to coming home. But that wasn’t the case and still isn’t. He’s still a long way from that and very likely won’t ever return home. That said, he’s done some pretty exciting stuff just yesterday and today. One big thing is that he had his feeding tube removed. So he’s now completely tubeless! Although that was a few days ago. 1) Singing Songs – Eric got him to sing a Finnish Christmas song he learned on his mission in Finland that he always sang each Christmas growing up and Shaylee got him to sing Do Your Ears Hang Low with her. 2) Moving his feet “walking” when being pushed in wheelchair – He used to just drag his feet or have them on foot rests. 3) Pushing with his hands on the wheels of his wheelchair and moving his feet – He had never done that before. 4) Stood up and shuffled a couple steps and sat in a recliner – He’s either been in bed or a wheelchair for over two months. 5) Walked 100+ feet for 20+ minutes using a walker! – Once he got a hold of the walker he was off. Eventually he said, “I really need to get some shoes on.” So we got his tennis shoes all laced up. 6) Tied his shoes – This was one of my favorite moments. He sat in his chair, lifted his foot and rested his ankle on his knee and started tying his shoes. Just looked so natural and normal. 7.) Playing with grandkids – Sully went to give him a hug and he hugged him back but then kind of grabbed him with his knees and wouldn’t let him go. Dad was just grinning. When he finally got away he came back for more and they played again. Super cute. 8.) Standing up and walking around and making the nurses nervous – Once he started walking and got his shoes on it seems there’s no keeping him down. It’s understandable they’d be nervous. He hasn’t really stood up or walked much at all for months and isn’t very stable. His interactions seem more and more appropriate too. It’s been a fun couple days. Big thanks to Eric for spending so much time with him the last couple days and encouraging him and supporting him to try new things. Big thanks to everyone for everything they do. Especially to Mom for spending the majority of every single day with him, supporting, loving, and encouraging him. It definitely makes it easier for the rest of us to know the love of his life is right there by his side all the time. I have been able to spend lots of time with Dad this weekend. He is mostly the same mentally. He talks, but doesn’t really carry on conversations. Often what he talks about isn’t reality. Other times he will communicate when he has to go to the bathroom and when he is hungry or cold, but other he doesn’t really know what’s going on around him. He recognizes people some of the time. Mostly every day has ups and downs with some things the same, but other things are surprise progress and backsliding. Friday he walked 583 feet on his own, mostly using the handrail as only support. He also walked outside without any help for probably 80-90 feet. He is eating real food and typically feeds himself most meals. He can get up out of bed and out of chairs and stand up himself and walk around. He spends his time moving from chair to chair in the lobby area and looking at magazines and newspapers. He doesn’t really read them, but he can read, usually 2-3 words, such as headlines or notices on walls. I took him in his wheelchair for a walk across the street to the museum grounds yesterday, but he wasn’t too interested in the old trucks and artillery. Then we went for a ride in my vehicle. I think this might’ve been his first ride in a family members personal vehicle since before his heart surgery. 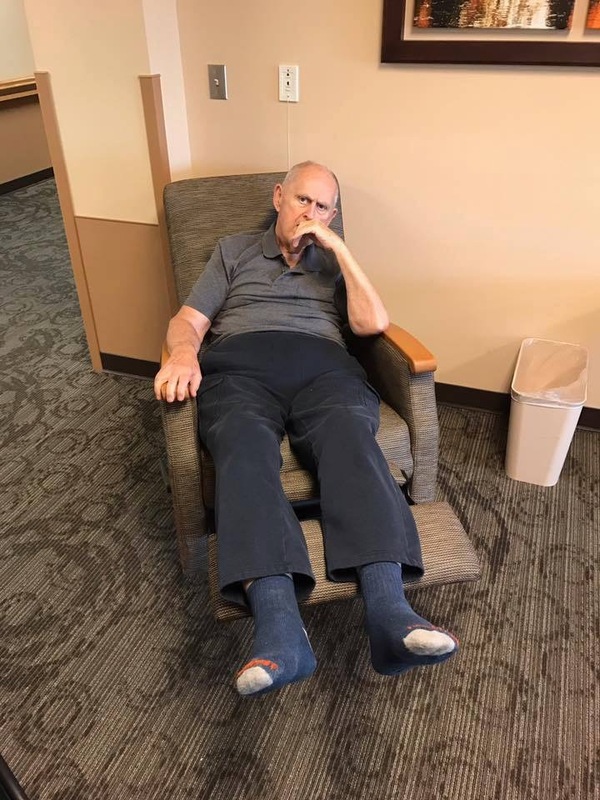 He did not act any different than sitting in a chair at the care facility. He did chow down his ice cream cone and part of a fish sandwich. It was harder getting him out of the SUV than getting him in. But at least he got out and did something different. Last night he spent a lot of time relacing his shoes in unusual ways, but he was bright eyed and focused. Dad hasn’t been sleeping much at night and tries to nap a lot. 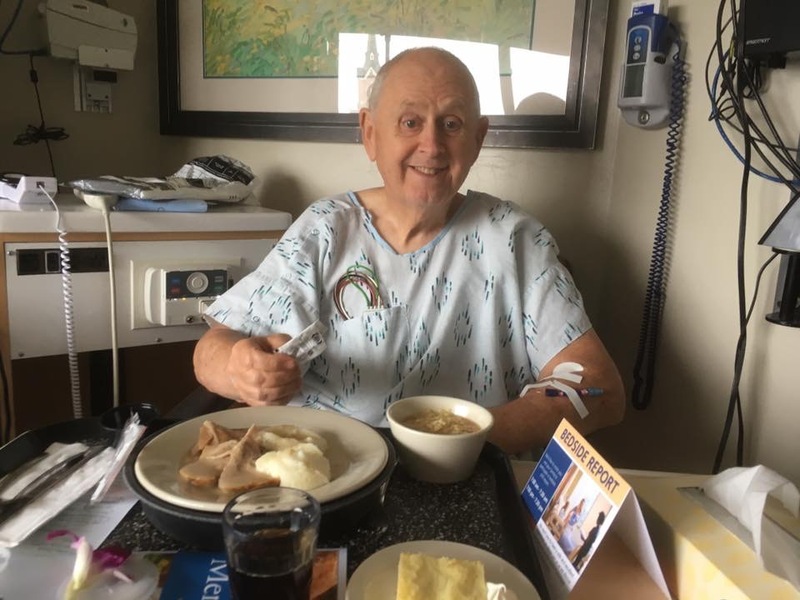 Overall Dad continues to physically improve, although slowly. Mentally his progress is even slower, although any improvement with Creutzfeldt-Jakob (KROITS-felt YAH-kobe) disease is surprising and confusing to doctors. We continue to hope and pray for miracles and continued progress. Thank you all for your concern, support and prayers! I don’t think yesterday morning, any of us could have predicted how the day was going to end. We knew Friday was going to be a big day. 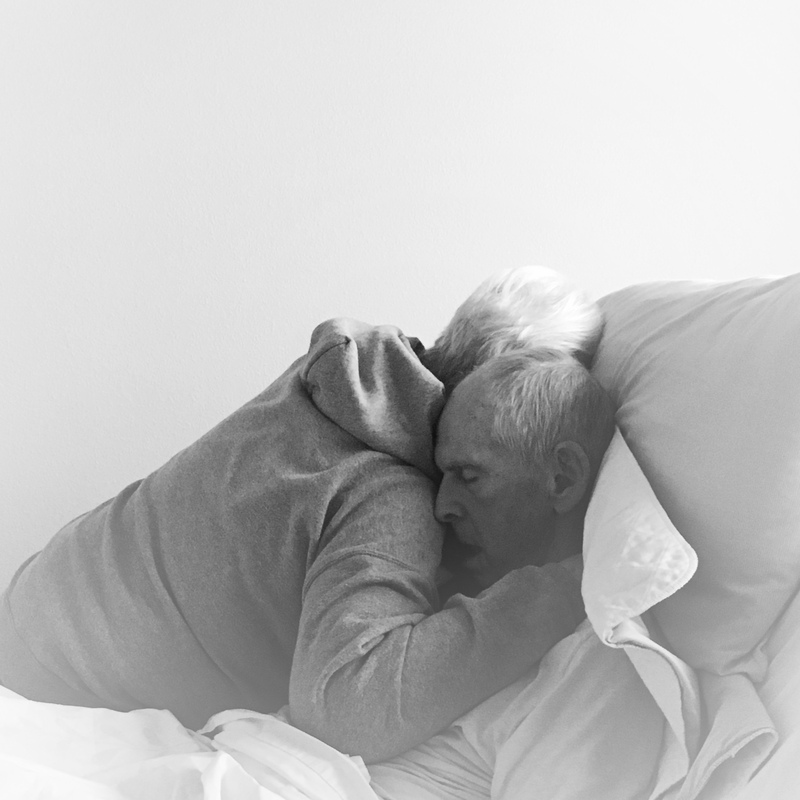 Medicare was going to stop paying for Dad’s care at Regency. And after considering transferring him to a different home, we decided to have him stay at Regency where Mom would have to pay a lot more and Medicaid would kick in and pay the rest. But in the early afternoon, everything changed. Regency shocked us by informing us they decided Dad was too big of a liability to stay there any longer. And Eagle Springs changed their mind and decided not to accept Dad as well. So they processed his discharge papers, packed up Dad’s stuff, and Mom and Eric brought Dad home. It was a stunning and drastic change of direction. For all the reasons Regency basically kicked Dad out, we had determined it would be completely unrealistic to try and take care of him at home. I won’t go into the details of what those challenges are, but I’ll just say they were beyond the ability of a skilled nursing facility to handle. So we’re still in a bit of a whirlwind trying to figure out what to do. BUT…I don’t think any of us could have imagined or predicted how wonderful yesterday afternoon and evening could have gone! Dad did so great. It was amazing to see how calm, conversational, funny, and happy he was. And not just for an hour or two—it was for the entire afternoon and evening. Eric and Robb were both there overnight and turns out he did quite well through the night as well and woke up in good spirits this morning. I think it’s safe to say that in the span of a single afternoon/evening, we went from getting some very shocking and troubling news, to unexpectedly enjoying the single most positive, tender, encouraging, and lovely moments any of us have experienced with Dad since his heart surgery in early June. Help needed in Walla Walla! Dad’s stay at home was unfortunately short lived. Sunday night he ended up exhibiting what appeared to be stroke symptoms and was found mostly unresponsive verbally and physically. At the ER they discovered he had a urinary tract infection (no stroke) and have been treating him there ever since. Good news is he’s responding positively and doing well overall. Bad news is that it’s simply not feasible to provide adequate care for him at home. So the last few days have been a mad scramble trying to find a place for him to live. Great news is that Eagle Springs has accepted him and he’ll be able to transfer there on Friday! The challenge is that in order to get them to agree to take him, we will need to provide a 24/7 sitter to be by his side for the first week while they work to stabilize Dad and familiarize him with the facility and crew. And that’s where the request for help comes in. If you’re in the Walla Walla area and would be willing to volunteer to keep Dad company for a awhile sometime between this Friday and next Friday, we’d be immensely grateful! If that’s something you might be able to help with, just let me know and I’ll follow up personally with more details. Thank you so much! So Dad was in Eagle Springs for less than 48 hours and then went back to the hospital for a day and a half or so with a tummy bug and slightly fast heart rate. He improved quickly and has been back at Eagle Springs now for a bit over 24 hours. So we’re still working to try and provide 24/7 sitter coverage. We have loads of people volunteer and we appreciate your service immensely! And there are still a few 2-hour windows that we still need to fill. If you’re feeling up for it and one of these blocks would work for your schedule, just let me know. Again…we really appreciate everyone’s help SO much! Dad’s not doing well. Hasn’t been mobile for a couple weeks. Haven’t been able to get him to really eat or drink for a couple days now. Just trying to spend as much time with him as possible. Glad Eric, Julie, Laurie, Jeffrey, and Robb are all here. Matt and Jamee are coming tomorrow. Love my family something fierce. It’s been a long time since I’ve had a slumber party with a bunch of my siblings in the same room. It’s been even longer since both of my parents have joined us. A first though, is having a slumber party in a retirement home. Dad passed away this morning at 1am. He was in a very comfortable and peaceful state the last several days. Just seemed to be sleeping. We knew he didn’t have long once he stopped eating and drinking. At first we thought he only had 1-3 days. Then 3-5. Then after 5 full days, we gave up trying to estimate. One thing we knew for sure, was that Dad was strong and that he was absolutely going to go about this his own way and in his own time—just like he’s always done with pretty much everything. When he passed this morning, he had made it all the way to the beginning of day 7. 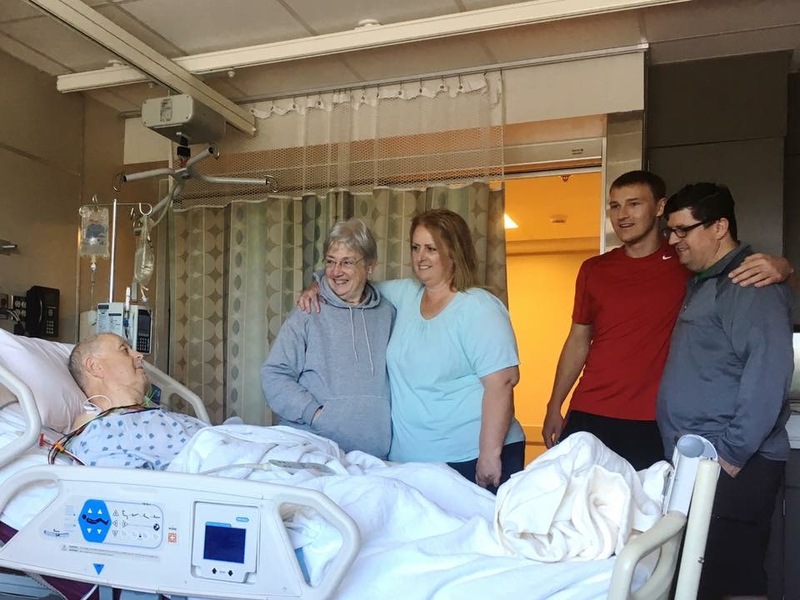 Perhaps he was simply enjoying having all his family gathered around him telling stories, singing hymns, laughing loudly, and praying regularly. Perhaps he wanted to participate in Eagle Springs Retirement Home’s first ever family slumber party. Last night they let us haul in air mattresses, foam pads, blankets, and pillows so most of us could stay and sleep there with Dad. We just didn’t feel like leaving. He undeniably continued as the unshakable example of strength and perseverance he’s been to us (and so many others) over the years. He even maintained his sense of humor until the very end. He actually managed to make all of us laugh and smile just seconds before passing. Thank you to everyone for your kind expressions of support and love. Our entire family appreciates it immensely. We will share details regarding his funeral as soon as we know more.